Please note that the rings in the photos are sold. Your ring set will be built for you upon purchase. 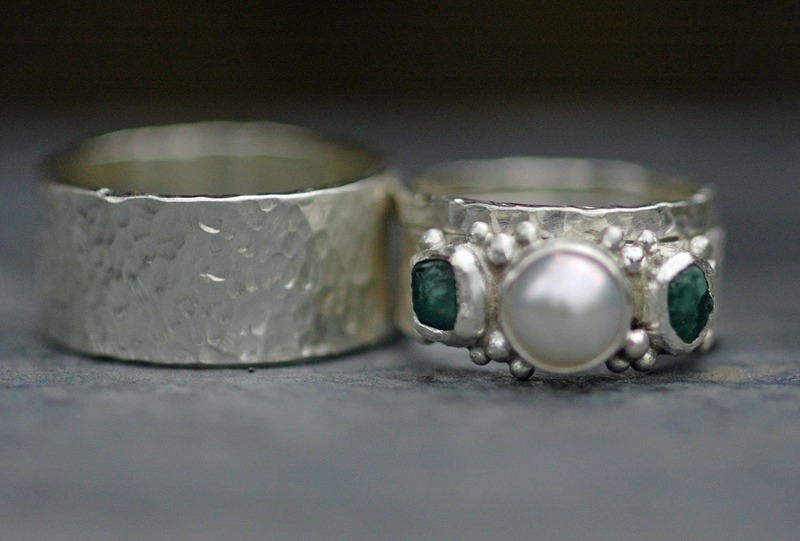 Your ring set will be custom built to your specifications upon ordering. Please check my shop announcement for my current production time. Contact me through the shop or via email at treloar [!at] telus.net with any questions. 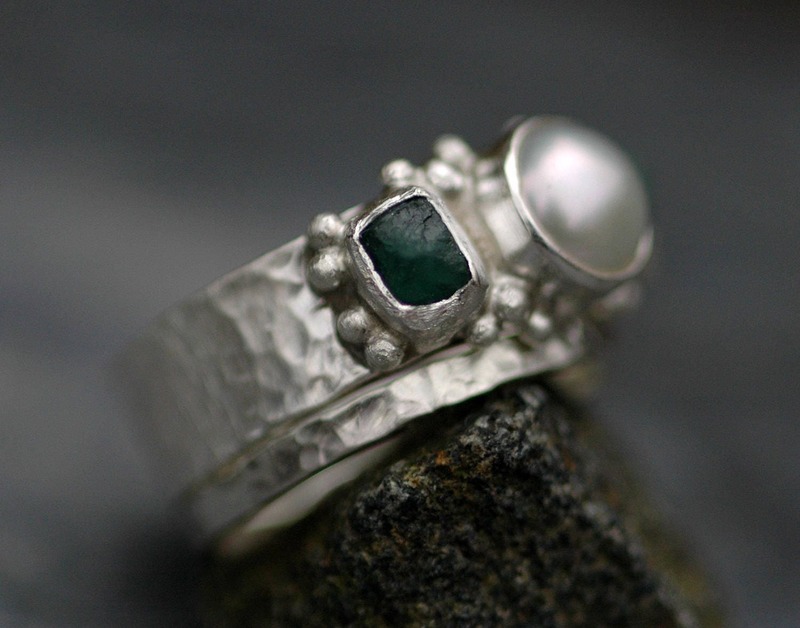 These rings are built of solid sterling silver. Each band has been given a hammered texture in these photos. Brushed and high shine textures are also available. All of my metals are recycled, and are smelted in the USA. 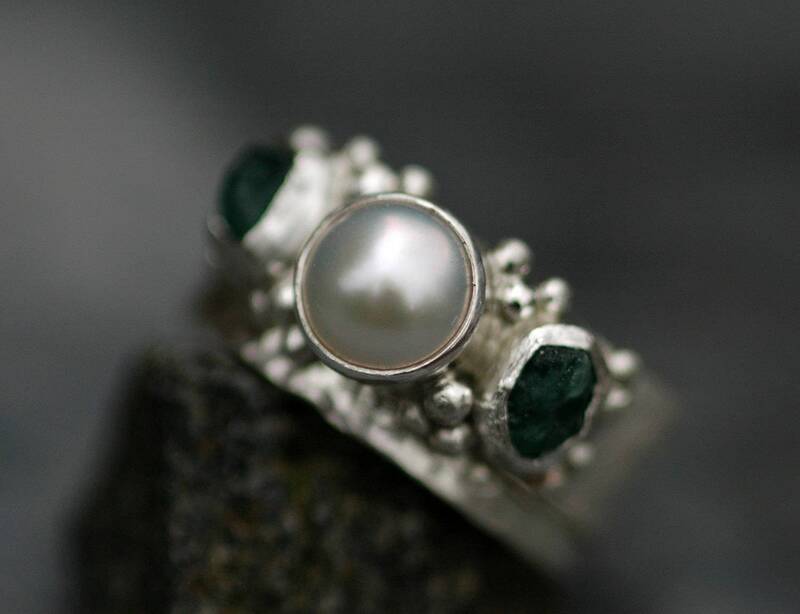 The engagement ring is set with a white freshwater pearl. 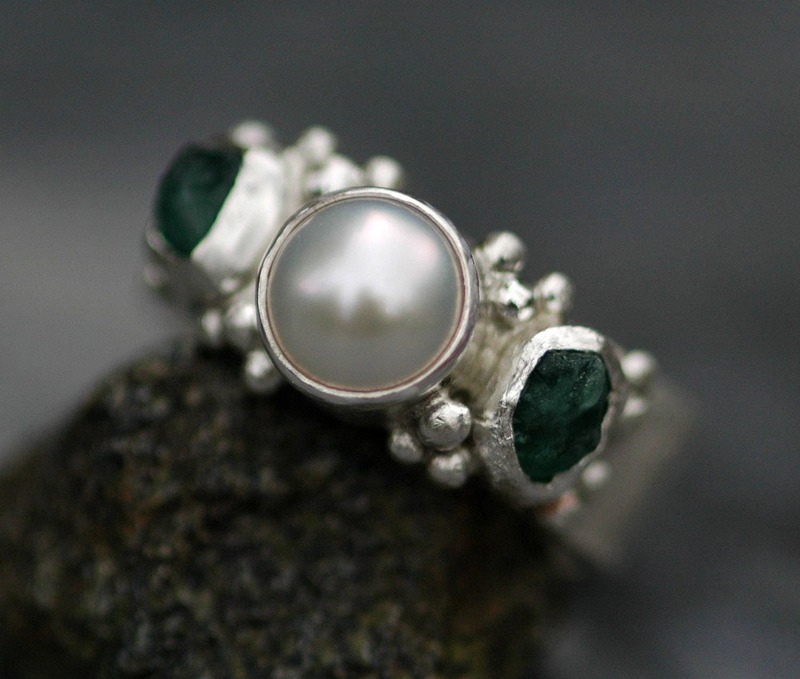 The pearl is flanked by two raw, uncut emeralds. 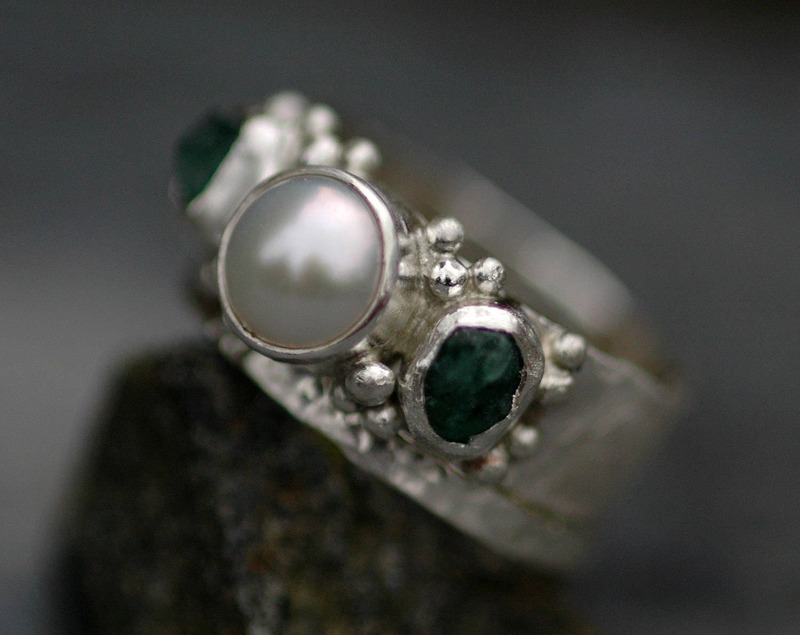 With this listing, you may choose to purchase just the emerald and pearl ring, or to purchase it with its matching wedding band. Each ring will be sized up according to the band width/combined band width, in order to ensure the rings are not too tight. Please do not increase your ring size to accommodate the band width when you give it to me- I need your true ring size. If you have any questions at all about how to find your true/proper ring size, please do let me know. As I hand-build each of these rings from raw materials in my studio, any variation on the stones, textures, metals, and band widths shown here can be used. Just ask. Shipping is via two business day (to most locations, but some restrictions apply) Fed Ex, with a signature due upon delivery, a tracking number, and basic insurance coverage of $100.